I can hardly believe that the summer's nearly over and that it's almost fall. Thank goodness. I am welcoming this cooler weather with welcome arms (I love sweater weather!) The kids and I have been working on some fall art projects. 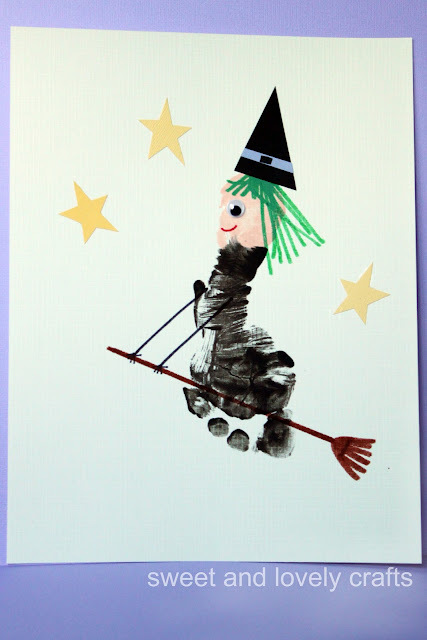 One of the first ones that we've done is this footprint witch. How very halloween! This is such a simple project to do. All you need are a few basic things that you probably already have on hand. 1. Paint the heel using the cream paint, and then quickly paint the rest of the foot black. Stamp onto the paper. 2. Once it's dry start to draw on the details. I started by drawing the broom first. 3. Draw on smile, and messy hair. Draw on arms holding onto the broom. 5. Cut a triangle out of black paper for the witch hat. I cut a small, thin rectangle out of purple for the band on the hat. 6. Cut out (or draw, I don't trust my drawing!) a few stars for the night sky. 7. Display. Claire LOVES seeing her artwork on display. 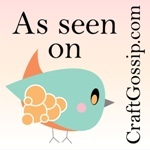 I love anything that incorporates a hand or footprint, and this is adorable! Ahhhhh, I LOVE this! It turned out awesome. Can't wait to see what else you've been up to. This is such a precious idea! What a sweet holiday project! This craft is so cute. I homeschool my children, so I will definitely try this activity with them a bit closer to Halloween. 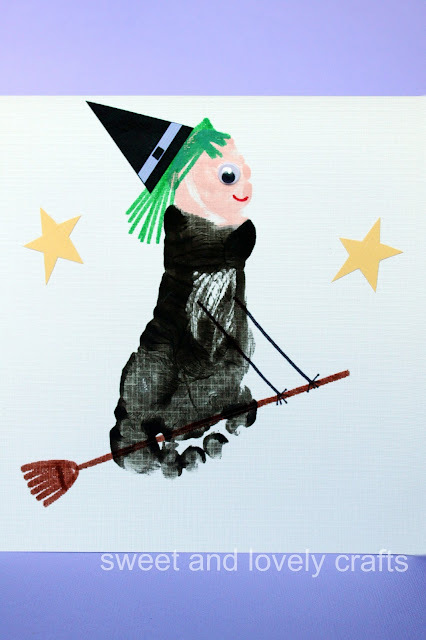 I Love this witch!!! FABULOUS! I would love yoyr feedback! Have a nice week!